Alternative band, Polaroid Summer, wants to talk about a taboo topic; substance abuse. 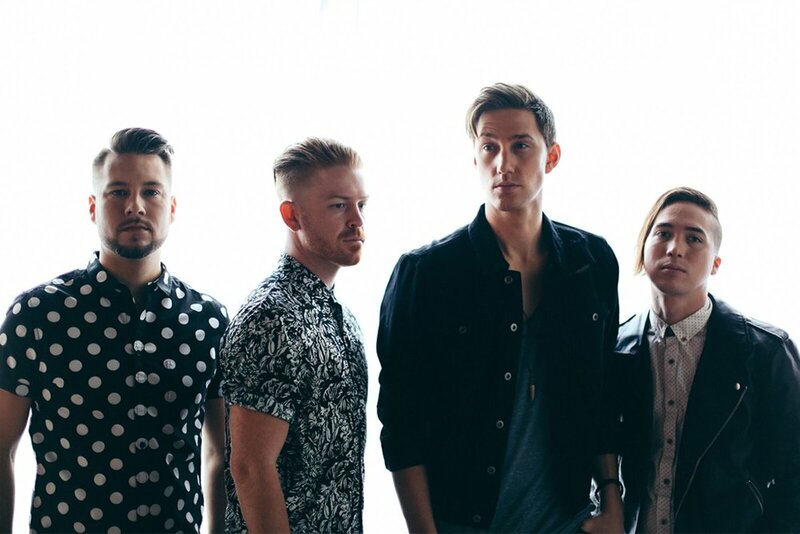 They capture their message in their new music video for their single, “TIDES”. This song represents the struggle that people of all races, religions, and economic backgrounds go through, and is something that is greatly affecting the youth of today. Their hope is that this song will help others through their internal struggles making them aware that they are not alone and to encourage them to open up and talk to someone. Find out more about Polaroid Summer in our interview with vocalist Micaiah Walker below. How would you describe your music to those who have not heard it yet? Micaiah: "A combination of Energy, Power, Fun & Emotion J or I guess you could also say Alternative / Pop / New Wave." You recently released your song ‘TIDES’, which is about struggles of anxiety, addiction, depression, etc. Can you tell us a little about the inspiration behind the song? Micaiah: "Our Drummer (Brian Barrett) and Guitarist (Trace Sisson) sent me this new piece of music they had been working on and from the first time I heard it I felt a strong feeling of Self-conflict and I started writing immediately. For me personally its just dealing with the stress related pressure of trying to make it in a nearly impossible industry and feeling like I had gotten away from giving it my all. Getting a little older each year, being broke, and not just financially, my spirit was broken… that’s depressing. That’s where I was. Depressed. The band (VerseCity) which I had poured my teenage years & early twenties into was falling apart. I had this brand new opportunity with this new group of guys as we were starting Polaroid Summer (14 months ago). I knew if I was going to do this I had to “Get it back”. I left the lyrics vague enough to be relatable to anyone’s struggles and the Video portrays a few things we fell like people struggle with the most. We want this song to inspire inward change; just as writing it did for me." Why do you think it’s important to talk about these struggles? Micaiah: "Yes! The first step is realizing & admitting you have an issue. Then and only then can you start taking steps to make a change. That is what the song was for me, admitting to myself that I needed to change." You also released a music video for the song – how did you make sure that the video conveyed the emotions well? Micaiah: "We worked with Director Angelica Duong and another creator Arief Stark on the video concept and they were amazing to help us really bring these struggles to life in such a short video. My wife Suzie gave me the idea for the geometrical animal mask and then in the video when the mask are on it represents that the person is struggling with their addiction/depression etc. The four Modles/Actors we got for the video also did an amazing job bringing the roles to life. The video was a big team effort!" Micaiah: "We write mostly in-group sessions as a band and some including our producer Bryce Bordone. Typically we like to find a chord progression & beat that feels good and then the melodies start flowing over it, once I get a general concept for a song then I start pulling from personal experience or something I saw on a TV show to get down lyrics. I’ll never tell what exactly but I often write about stuff I see on some of the great TV Shows that everyone knows and watches." What do you hope people take from your music when they listen to it? Micaiah: "My favorite songs are the ones that are very relatable and make me feel something more than just the beat. So for me the goal is to create songs that not only sounds good but also affects your emotions in a way that creates a feeling." Micaiah: "We just celebrated One year as a band and now we are gearing up to release our First EP this Summer (2018) and it will likely feature 8 songs J."